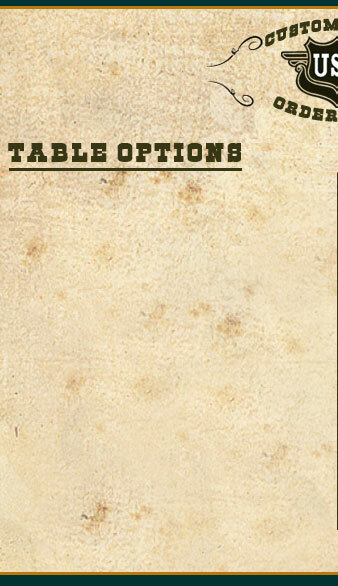 CASINO STYLE TEXAS HOLD’EM TABLE WITH REINFORCED METAL FOLDING LEGS. 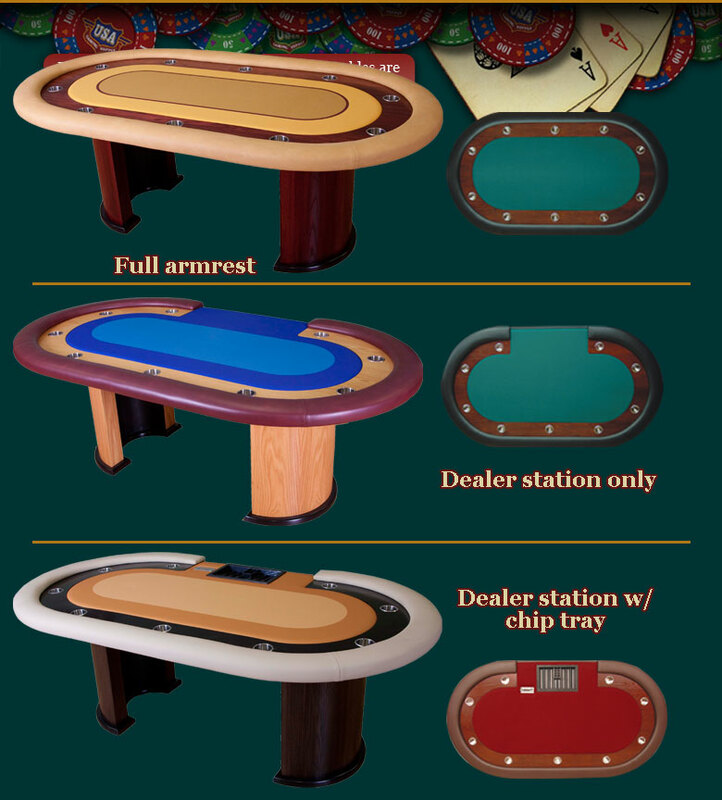 THIS TABLE IS WIDELY USED BY CASINOS FOR TOURNAMENTS. 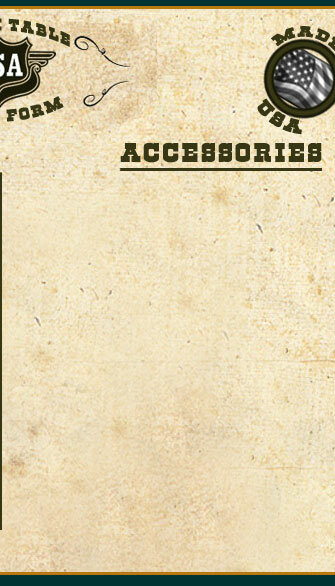 IT COMES WITH ¼” PADDING, STANDARD LAYOUT, REMOVABLE ARMREST AND ABS PLASTIC CHIP TRAY. ITS BOARD IS MADE WITH ¾” BIRCH PLYWOOD AND IT’S BACKED BY ANOTHER ¾” TO PROVIDE EXTRA SECURITY AND SUPPORT. THE METAL LEGS HAVE 3 POINTS OF CONTACT TO INSURE EXTRA STABILITY.